As of September 2018, the economic expansion that begun in December 2012 surpassed the “Izanagi boom” that took place in the late 1960s to become the second-longest boom since World War II. If it continues until January 2019, it will become the longest postwar boom, but annual average growth is only around 1%, and most people cannot tell the economy is doing well. Considering this situation and the consumption tax hike in October, 2019 will demonstrate the true worth of the economic management of the Abe administration as it enters its seventh year. Although new free trade frameworks are set to begin soon, with the TPP11 entering into force at the end of this month and the Japan-EU EPA in February next year, major changes are likely to occur which will affect the global economy, with continuing trade tensions between China and the US and the uncertainty over Brexit. 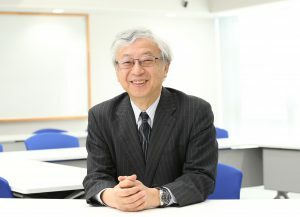 The FPCJ has invited Dr. Motoshige Itoh, a professor at the Faculty of International Social Sciences of Gakushuin University to discuss the issues and outlook for the Japanese economy in the new year.